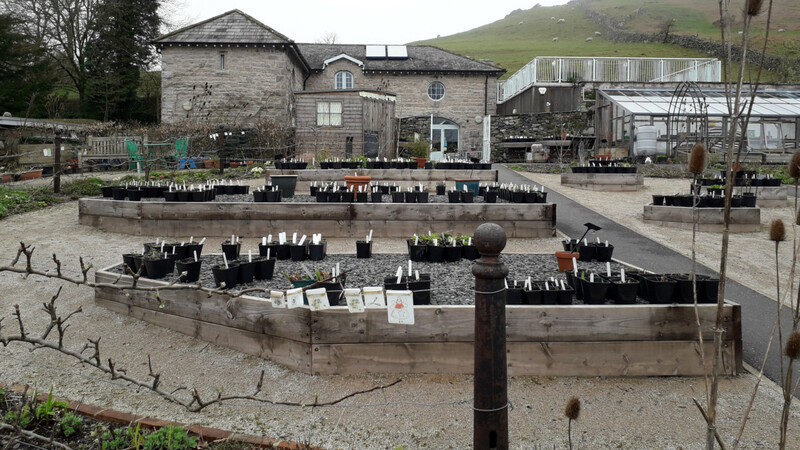 The team behind the feasibility study into community-led food growing on Alston Moor has been out on the road looking at some inspiring community food-growing sites and potential management models we could replicate. 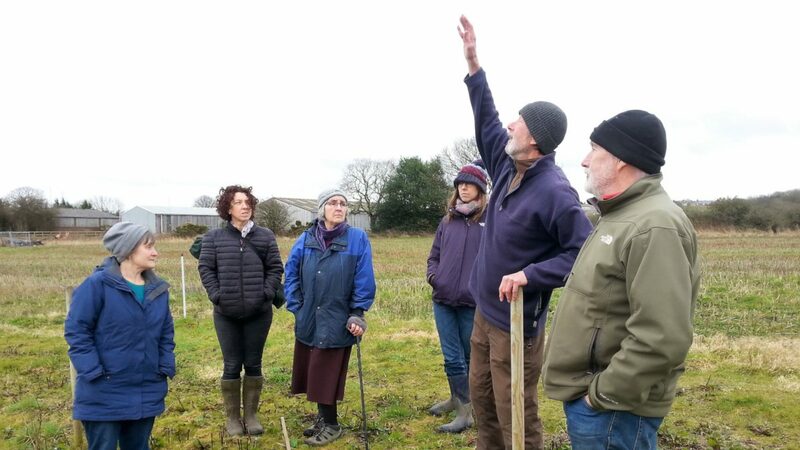 “A group of us visited Gibside Community Farm, Burnopfield, near Gateshead on 8 March, to look at a community-supported agriculture scheme on National Trust land. 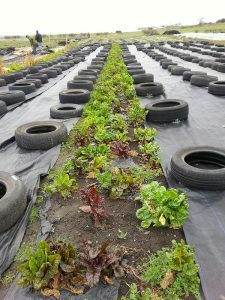 At the community farm, everyone who works takes a share of the crops produced. For just £52 a year or £1 a week you can take home a fresh seasonal veggie bag. It was a work day for the Gibside volunteers, who were on a mission to get things planted, despite it being a very cold and blustery day! 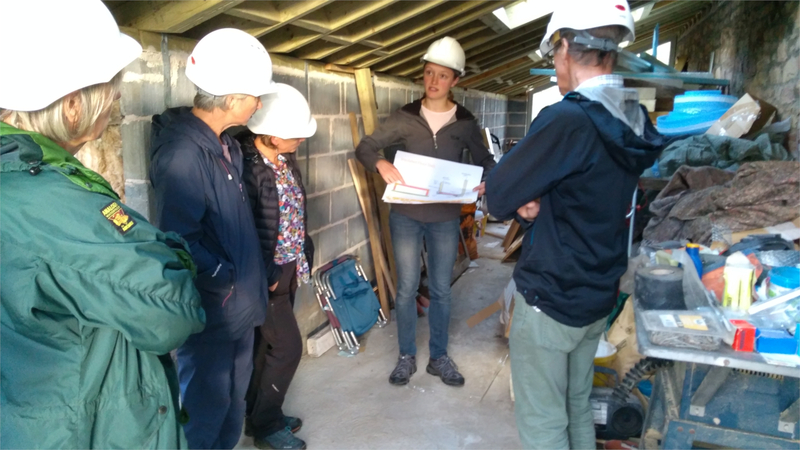 We are very grateful to Mick Marston, part of the growing collective, who gave us a tour and talk about the project, which has been going for five years. 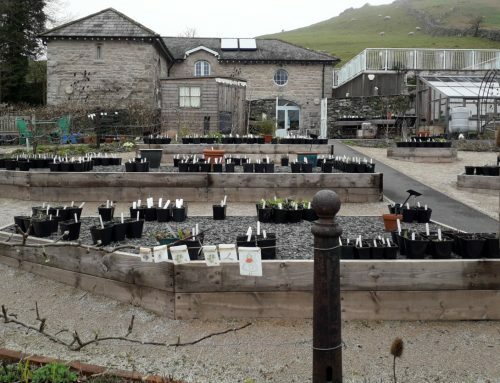 Gibside Community Farm is constituted as a Community Interest Company and organised as a worker’s co-operative. 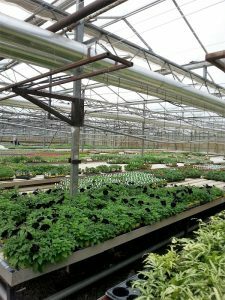 The co-op attracts a diverse demographic, including young families, and they are establishing vegetables, fruit and also biomass and mushrooms on the 14-acre site. 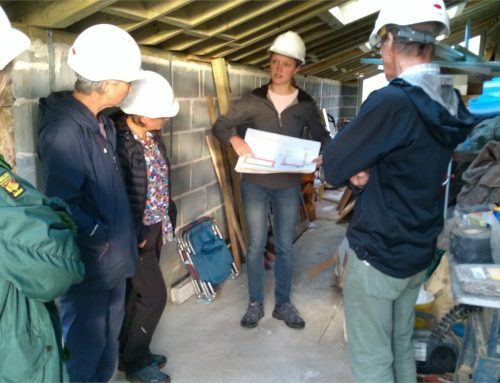 They have future plans to develop an inspirational covered courtyard area for storage, community gatherings and cooking and training, built from old shipping containers. We enjoyed lunch in National Trust café at Gibside and took a look at the walled garden, where there are crops by the community farm. It’s a beautiful setting. Watch this space next week, to find out where the team’s next fact-finding visit took them.